Purees. They’re not just for babies (or elderly people without teeth) anymore. Who ever would have thought that vegetable purees could be so life changing?! Okay, okay, that might be an exaggeration. But, for reals, having a stockpile of vegetable purees in your freezer is like gold. Well, for starters, if you have children or any picky human in your house at all, vegetable purees can often be “hidden” in your foods. 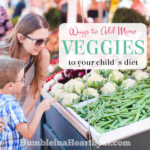 Even if your child thinks they are eating a normal muffin, they are actually eating a muffin laced with veggies. 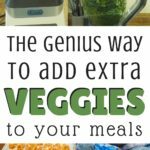 I, personally, don’t like to “hide” veggies in our meals, but I’m not opposed to adding veggies to make a meal healthier. If my kids ask what is in the food, I’ll be completely honest. 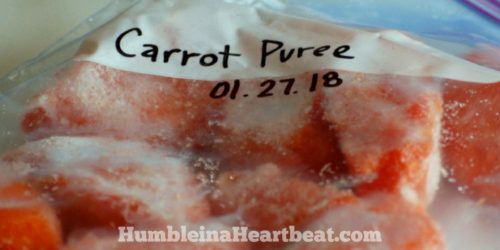 I don’t know why I never thought of doing this when I had vegetable purees in my freezer when my kids were 6-12 months old. 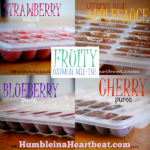 In fact, if you have vegetable purees in your freezer right now and your baby is entering the finger food phase and no longer eating those purees, use them for the family’s meals! I’ll share a list of foods you can add them to below. This past summer we were drinking smoothies nearly every day. It’s a great way to get some extra fruits and veggies into our diets and my husband wanted a smoothie so he wouldn’t overeat at night. I had been in the habit of adding spinach to our smoothies for over a year, so I was buying a fairly large bag of spinach every time I did a shopping trip (every two weeks or so). Towards the end of summer, we stopped drinking so many smoothies. As the weather changed, we weren’t too keen on drinking our fruits and veggies cold anymore. So my spinach would wilt and get all slimy well before we could finish the bag because I was no longer using it for smoothies. Of course, there were other meals I would throw spinach into, but it barely left a dent. It was then that I realized I should have been doing something all along to make sure none of my spinach ever went bad: storing it in the freezer. While I could easily have just stored the whole bag of spinach in the freezer, I decided to puree it first. This would take up less space in the freezer, and I could use it for a lot more than just smoothies. Well, one thing led to another, and I started pureeing all the vegetables! Now my freezer is full of vegetable purees in ice cube form (with one exception I’ll talk about below) and I’m so excited to start using them in my cooking this fall/winter. 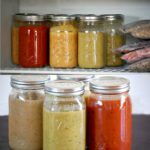 Why would I keep vegetable purees in my freezer? You made a ton of purees for baby and stocked them in your freezer. But! Your baby is so over purees. You harvested a bunch of produce from your garden that you couldn’t eat while it was fresh. So you pureed most of it. You found a specific veggie for a great price and stocked up and pureed some. You bought a ton of one veggie for some reason and then never executed your idea. So you pureed it and threw it in the freezer. You didn’t want your veggies to go to waste in your fridge or on your counter so you pureed them. As you can see, pureeing and then freezing vegetables can save your produce before it goes bad, as well as save you a ton of time and money in the future. Now onto the vegetable purees. I bet you’ve never thought of adding beets to a smoothie, unless you’re a real health nut. The first time I did this nobody in my family knew I had put an entire roasted beet in the smoothie. It was full of berries, in addition to the beet, so the taste was too subtle to really notice. To make beet puree, roast the beets first. Once they have cooled slightly, add them to your blender or food processor and puree. I had to add 2 Tablespoons of water (to 4 large beets) to make it easier to puree. Put the puree in an ice cube tray to freeze. 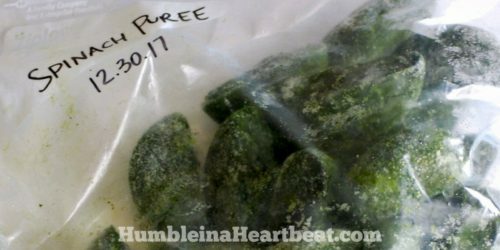 Once frozen, throw the cubes in a freezer bag and keep in the freezer for up to 3 months. Carrots are such a sweet vegetable that they work incredibly well in baked goods like muffins. You can always grate a carrot and add it, but if you add pureed carrot instead it blends in well with the muffin batter. You can cook your carrots whichever way you please for this. I used my Instant Pot. I cut 4 carrots into 2 inch pieces. I threw them in the pot with 1 cup of water, put the lid on, and cooked on high pressure for 12 minutes. I think next time I’ll try it for just 5 minutes. When they were done, I put them in the blender without water and pureed. Then I put the pureed carrot in an ice cube tray to freeze. Once frozen, I put the cubes in a freezer bag and labeled it to use by 3 months from that date. My 4 carrots only made 9 ounces, so if I wanted a lot of cubes I would probably use at least 8 carrots next time. Sweet potatoes are one of my favorite vegetables lately. You can add them to yogurt or pancakes without the need to use any added sugars. And they’re healthy! This was the only vegetable I did not make and freeze for this blog post. But they are so similar in texture to pumpkin when pureed that I knew it would work. To make the puree, just cook a couple of sweet potoatoes in the oven, slow cooker, or Instant Pot. Once cooled off, add the flesh to the blender or food processor and puree. You might need to add a small amount of water to make it easier. Put the puree in an ice cube tray to freeze. 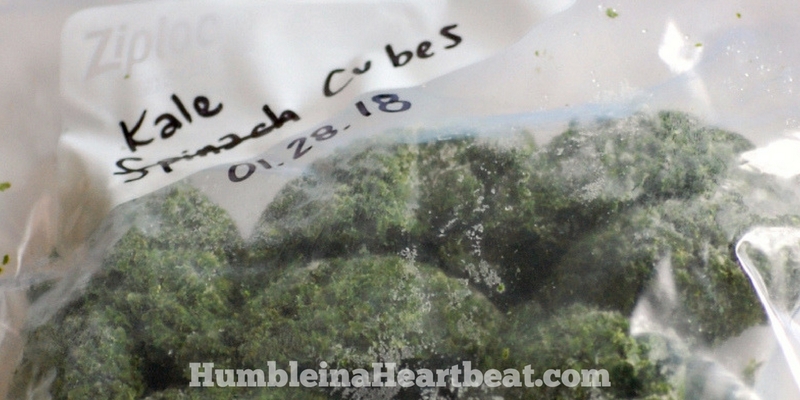 Once frozen, throw the cubes in a freezer bag and keep in the freezer for up to 3 months. Pumpkins and pumpkin puree are not sold year-round. I repeat, they are not sold year round! So if you like pumpkin treats outside of fall/winter, you may want to stock up on canned pumpkin puree or make your own pumpkin puree and freeze it now. Seriously, you’ll be so glad in April when you have a hankering for pumpkin pancakes. You can also use pumpkin puree for soups, smoothies, baked goods, and chilis. 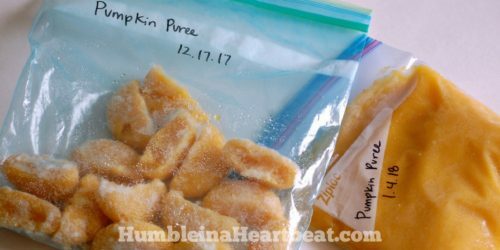 I cooked my pumpkins in the Instant Pot, but you can also roast the pumpkin in the oven. I just lop off the stem, put the whole pumpkin (a pie pumpkin) in the pot on a rack, add 1 cup of water, and cook on high pressure for 13 minutes with a 10 minute natural release. When I take it out, I put it on a cutting board and cut it in half and let it cool for a bit. Then I scoop out all the seeds and then all the pumpkin. The seeds can be used for roasting, but the pumpkin needs to go into the blender or food processor. I added about 2 T. of water to puree easier. I put the pureed pumpkin in an ice cube tray to freeze. Once frozen, I throw the cubes in a freezer bag and keep them in the freezer for up to 3 months. This was the only vegetable I put in a quart-size freezer bag, in addition to putting them in ice cube trays. The reason I wanted a few bags of pumpkin puree is that if a recipe calls for a can of pumpkin puree (about 1 3/4 cups, I think), I can just pull out one of the bags and use it. Also, this is a great way to store leftover canned pumpkin puree. No need to cook the spinach before you puree it. You can just wash it and then add it to the blender to puree. I had to add 1 Tablespoon of water for easier pureeing. Put the spinach in an ice cube tray to freeze. 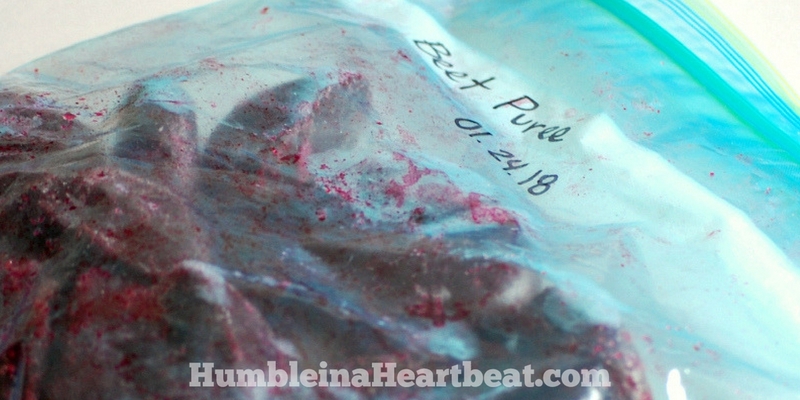 Once frozen, throw the cubes in a freezer bag and keep in the freezer for up to 3 months. For my most recent batch, I used 2 bunches of spinach rather than buying a bag. It seems a lot cheaper and I knew it wouldn’t go to waste. I’ll admit. I have never used broccoli puree in a smoothie. But I will try it now that I have a bunch of broccoli puree in my freezer. These cubes can easily be thrown into a pot roast or soup to give it a bit of a nutritional boost. Also, broccoli cheese soup is amazing. Just saying. I cooked my broccoli in the Instant Pot for 3 minutes on high pressure and released the pressure right after it was done. I wanted to make sure the broccoli was soft enough to puree, but wasn’t completely overcooked. I used 2 stalks of broccoli and it made a fair amount of ice cubes. I didn’t need to add any water to puree it. Then I put the puree in my ice cube tray to freeze. Once frozen, I threw the cubes in a freezer bag. 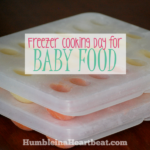 They can be stored in the freezer for up to 3 months. Kale is not exactly my favorite veggie. But I’m trying to warm up to it. Kale is great to use in smoothies, and it also works in soup. Experiment and see what you and your family like! You don’t need to cook the kale, just make sure you take the leaves off the tough stems before you add it to the blender or food processor. Put the pureed kale in an ice cube tray to freeze. 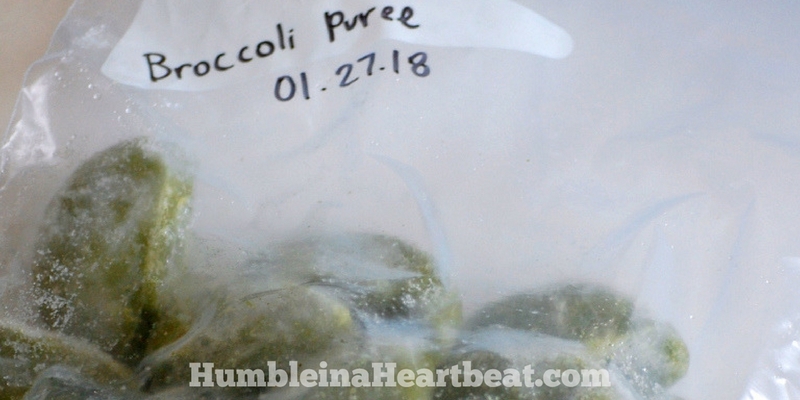 Once frozen, throw the cubes in a freezer bag and keep in the freezer for up to 3 months. I used one bunch of kale and it made about 9 ounces of puree. I really should have added some water to keep the kale together because the cubes were coming apart when I took them out of the ice cube tray to put in the freezer bag. 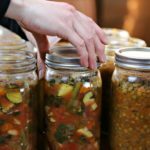 How to Freeze and Thaw Soup in Mason Jars – No More Cracks! Once upon a time I did some sneaky veggie cooking (Jessica Seinfeld’s cookbook Deceptively Delicious is gathering dust in my cupboard!)! She has a brownie recipe with carrot and spinach you should try for me! ; ) I’ve put broccoli in spaghetti sauce and cauliflower in scrambled eggs. If I make a smoothie that tastes different someone will ask what secret/strange ingredient I added! I really like your tips and veggie recommendations. I’ll have to get brave and buy some beets and sweet potatoes. Side note: The Instant Pot is on my Christmas list. Has it revolutionized your cooking and cut back on time getting dinner on the table? 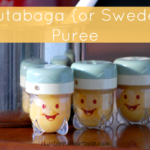 Those are awesome ideas for how to use veggie purees. I can’t wait to try some broccoli in my spaghetti! I love the Instant Pot, but I don’t use it for actual meals as much as I thought I would. I tend to use it more for basic components of a meal like hard-boiled eggs, rice, and chicken broth. The issue with the Instant Pot, that many people tend to forget to point out, is that it takes time to come to pressure (usually 5-15 minutes) and it also takes time to release pressure (usually 5-20 minutes), so when it comes down to it, some things are still faster done the old school way (like many soups, for example). I am going to try the yogurt function soon, and I’ll let you know how that goes!